The British Tourism & Travel Show 2018 has announced the launch of a new 'Destination Europe' area, when it returns next year to the NEC Birmingham on 21-22 March. Growing on its success of attracting thousands of group travel organisers, coach operators and tour organisers every year, this dedicated new area will appeal to key decision makers who plan and book itineraries for both international and domestic tourists. 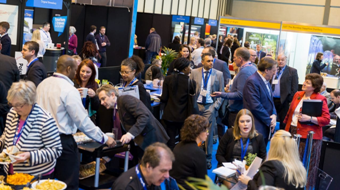 It will feature diverse attractions, destinations and hotels across Europe, and will provide ideas and inspiration for a variety of British travel trade buyers who attend the show. David Maguire, British Tourism & Travel Show's group event director, says: "Destination Europe is an exciting new area at next year's 2018 British Tourism & Travel Show, which seemed like a natural progression for the event. Many of our visitors are tasked with creating comprehensive tours and itineraries for Europe and this new dedicated section will allow them to explore the very best attractions, destinations and hotels from this part of the world, as well as the British Isles." "We were also approached by numerous European exhibitors last year who were keen to meet and do business with British tourism buyers, so Destination Europe seemed like the perfect new addition to the already established flagship, domestic travel trade exhibition," he adds. 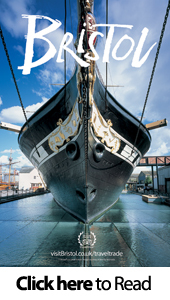 Commenting on the area, new exhibitor Liam Lomasney, from Dutch Cruise Line, says: "We are thrilled to be a part of the new Destination Europe section at British Tourism & Travel Show. Targeting British Tourism buyers is an essential part of our marketing strategy in 2018 and exhibiting in this new area is the perfect solution." "I applaud the organisers of the British Tourism & Travel Show for launching the new Destination Europe area. GTOs, coach tour operators and tour managers who visit the show will be planning trips to mainland Europe, and having a dedicated area will provide a wealth of ideas and inspiration for all their forthcoming trips, itineraries and tours. I'm already looking forward to visiting next year's show and picking new ideas from these new European exhibitors for our tours," says Anu Desai from Newell's Travel. According to The CTA (Coach Tourism Association), the UK coach tourism industry takes more than 1.5m tourists to the continent every year, showing that tourism to Europe, as well as domestic, continues to be a crucial revenue stream for the sector. Group travel operators, Norman Allen Group Travel (regular visitors and exhibitors at the British Tourism & Travel Show) has said that continental tours are 'looking positive' for 2018, despite potential negative factors which can affect tourism to this area. For the company, there has been "an overall increase in tours departing to mid-2017, and a slight increase in the number of passengers per tour." Feedback in the 2017 industry snapshot survey (completed before and during the event by travel and tour operators, DMOs, visitor attractions, destinations and hotels) also touched upon growth opportunities for tourism in Europe, stating that 'more realistic group travel visits to Europe, based on cheap flights and good value accommodation,' was one of the key trends to look out for in the next 12 months. "This is my favourite show and is an absolute must for tour operators wanting to find new tour ideas and to network with suppliers," says Denise Hanson, proprietor at Hanson Exclusives. "A truly excellent way of meeting those involved in travel tourism in one place with a great atmosphere. I will encourage our members to attend in 2018," says Peter Bradley, director of administration and development at London Tourist Coach Operators Association. British Tourism & Travel Show - the largest domestic tourism showcase of the year for the UK and Ireland's travel trade, returns to NEC Birmingham on 21-22 March 2018. 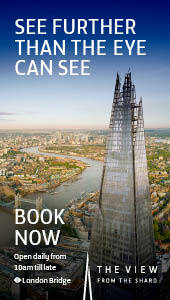 For further information, please visit http://www.tourismshow.co.uk.